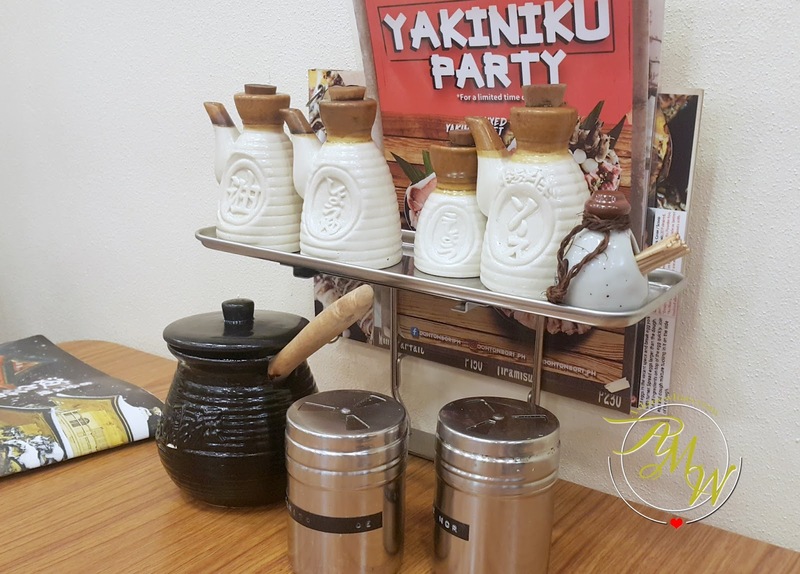 How does it feel to have a Yakiniku Party and eat Okonomiyaki in Manila? Made me missed Japan even more! It was my mom's birthday when we celebrated at Dohtonbori. It was a wonderful decision because we get to eat good food, see how it was made right in front of us (where Kyle enjoyed watching) AND, we get to bond and chat. The mini party started with 3 Meat Teppanyaki. This whole platter is actually perfect for a family of 3-5 depending on how hungry you are. The meat are well-marinated and I love how it's flavorful and yummy on each bite. We also ordered Hamburg Cheese Steak Okonomiyaki (Php360.00). 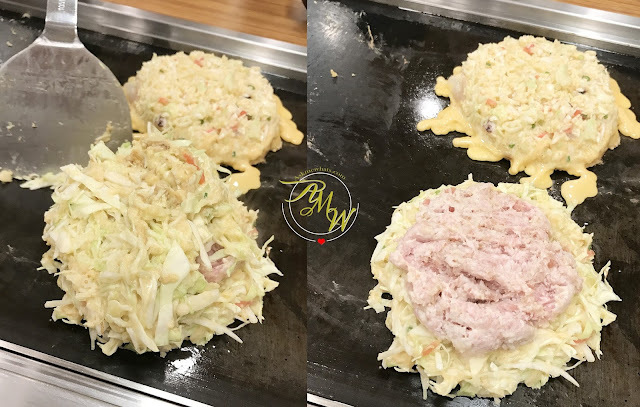 Think and meaty Hamburg steak is cooked right at the center of Okonomiyaki pattie. The cheese was just right to give that flavorful taste. Not on photo, we also ordered Umigo (Php360.00), which is a Five Seafood Okonomiyaki with Mentaiko, Scallop, Squid, Shrimp and Octopus. Then we wanted to test how good the restaurant is by ordering the simplest Japanese dish - Pork Katsudon (php260.00). It tasted totally different from most Pork Katsudon in other restaurants but i love the change. The pork was extremely tender, the sauce drizzled on rice was just right! Personally speaking, one of the best Pork Katsudon I've tried to date. Chashu Ramen (Tonkotsu/Shoyu) (Php360.00). This one is not the same Ramen taste you get from other ramen house. This has its' own unique flavor, soup base and I love the ample amount of Chashu in a single bowl. Overall, the food is extraordinary and I will definitely go back to try other dishes! The only thing about the SM MOA branch we visited is that, it was on a weeknight and they were understaffed, so we really had to wait for almost an hour (for our table and food to be served). I'm not sure if the other branches accept reservations but it pays to call and ask or better yet, bring some snacks because the waiting will make you grumpy! What's a new restaurant to try this the next weekend? Kyle is so cute he got your smile in the Photo Ms. Nikki!